← What is a Locopop? 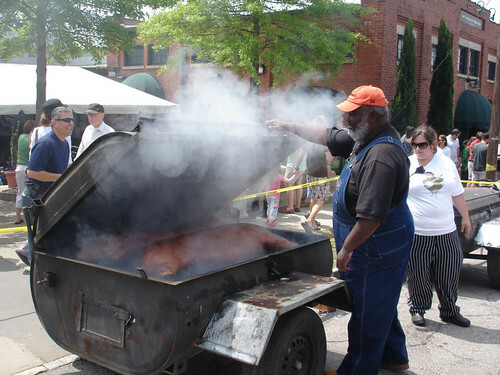 Pit Master Ed Mitchell checks on the smoker at Cuefest! For some reason there hasn’t been much buzz about this as in previous years, but I want to make sure word gets out this fun event. 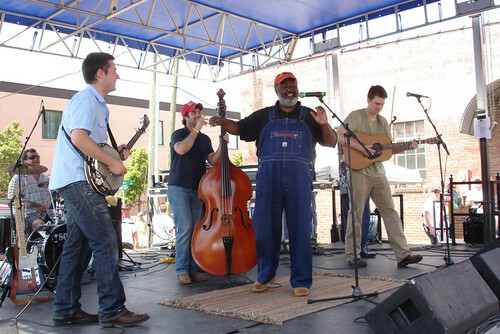 The 4th Annual ‘Cuegrass Festival is set to return to the The Pit BBQ in Raleigh on Saturday April 21st from 12-6pm. The action will take place along Davie street in front of restaurant with a jam-packed day full of great ‘cue, local brews and toe-tappin’ bluegrass music! 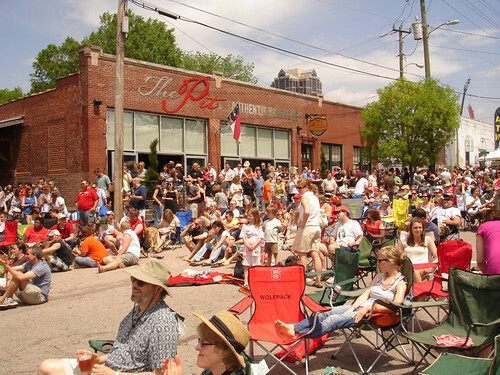 The folks at The Pit will have the pig cookers fired up to serve plenty of their famous Eastern North Carolina-style barbecue and offer a selection of local brews. Musical acts planned for this year’s event are Mandolin Orange, Delta Rae, Old Habits, and American Aquarium. Make sure you bring your lawn chairs and blankets for a day filled of relaxing with great food and music. Proceeds from the $5 gate donation go to the North Carolina 4-H Youth Development. Ed’s not involved anymore, is he? I thought he got squeezed out. Good point! I forgot that ED has moved on from The Pit! The pics in this post were from ack in 2010 when he was still there. Thank you for pointing this out to me.